We are an interdisciplinary community of clinicians, nurse educators, researchers, scientists, and learners whose leadership involves actively improving health care and quality of life for older adults in America. CGNE establishes and maintains affiliations and collaborative partnerships with various community members, strategic partners, and organizations on a local and regional basis, throughout the Commonwealth of Pennsylvania, and in countries including Australia, Canada, Germany, and the United Kingdom. Housed within the Penn State College of Nursing, the center was established in 2007 with a mission to prepare a growing number of nurse educators who possess both the passion and the expertise to create the future of gerontological nursing education and practice. 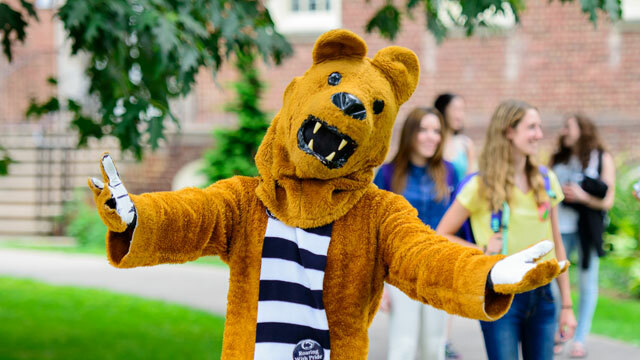 The center collaborates with and provides programming for all Penn State campuses, including six satellite sites, other colleges and departments, and World Campus online education. We accomplish this through the promotion of cognitive, emotional/behavioral, and physical health. Faculty and staff have been actively engaged in our vision for many years, with the initiation and development of our center providing a focused and rich opportunity to enhance their work. Older adults face multiple chronic diseases and are on multiple medications that challenge their capacity for positive functioning and well-being. Alzheimer’s disease is the sixth leading cause of death in the United States. Our continuum-of-care system for older adults and caregivers (both formal and informal) lacks the resources necessary to meet many of these challenges. The center receives additional financial support for its many mission initiatives from individuals and organizations in the form of support endowments, annual donations, and sponsorship. This support is needed to sustain our education, research, research translation, and outreach programs; graduate students; and early-career faculty members.